An unusual three tiered stacked rich chocolate wedding cake coated in white chocolate ganache. White chocolate is wrapped around each cake and accented with chocolate bubbles and ruffles. 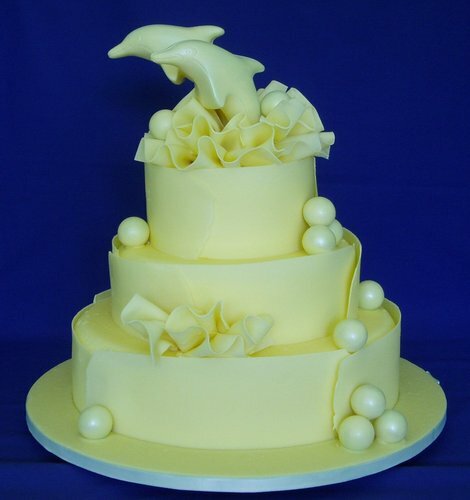 Two dolphins leap from the chocolate ruffles at the top of the cake.